A team of researchers at the John Innes Centre (JIC) headed by Prof. Cristobal Uauy has applied for consent to conduct field trials of genetically modified (GM) wheat to the Department of Environment, Food and Rural Affairs (Defra). Two small-scale trials are planned to be conducted within the existing facilities of the JIC, starting in the spring and summer of 2019 and will continue until 2022. The trials will be done to determine if the GM wheat has the same plant height and grain production traits as its parent line. The high-iron GM wheat was developed by sequencing the TaVIT2 (Vacuolar Iron Transporter 2) gene behind a regulatory piece of the wheat genome. The new sequence ‘tells' the wheat when and where to produce the iron transporter, thereby making the wheat produce extra iron transporters during grain development. This results to the starchy endosperm of the grain, the source of white flour, having about 10 times more iron compared to its commercial counterpart. If successful, the GM wheat will help increase iron intake through plants in the human diet, also known as biofortification, as opposed to adding iron to food products separately. 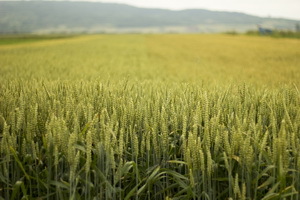 JIC's objective for the GM wheat is to address iron deficiency anemia in developing countries, specifically where wheat is a major crop and iron deficiency anemia is a major health issue. In the same application, Prof. Lars Ostergaard also requested for consent to conduct a field trial for Brassica plants modified using CRISPR-Cas9 gene editing technology. For this trial, the MYB28 gene will be evaluated to determine its role in field-grown Brassica oleracea plants. MYB28 gene regulates sulfur metabolism. JIC sees the potential of using this gene in Brassica vegetables, which have compounds that contain sulfur, in health promotion due to their economic and nutritional significance. More details can be found in JIC's FAQ and press release.